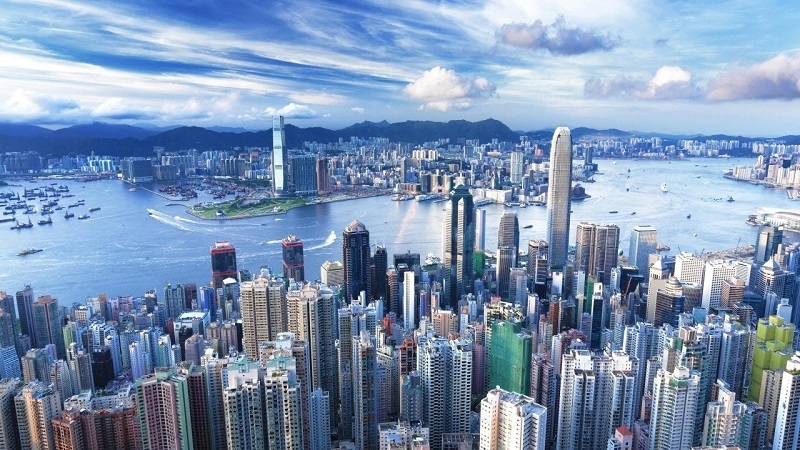 One of the Asia’s most cosmopolitan city, Hong Kong makes an unforgettable first impression. Relatively small in size and very densely populated, Hong Kong is a territory of contrasts, merging its rich English and Chinese heritages. From futuristic skyscrapers, high-tech transportation, countless restaurants and shopping malls to colonial relics and Buddhist temples, Hong Kong welcomes visitors with an iconic skyline, colourful traditions and some of the best attractions travellers will ever witness. If you’re looking for something to do on the weekend, you have plenty of attractions to choose from. Here are the 36 best things to do in Hong Kong on the weekend. Located on the western side of Lantau Island, Tai O is a small fishing town with a name meaning Large Inlet. Despite its settlements not being there that long, Tai O has a very rich history. There you can find few archaeological sites dating all the way back to the stone age, and the island, once used as a base for pirates and smugglers, was occupied by Portuguese forces in the 16th century. Tai O was even an entry point for illegal immigration after the Chinese Civil War! Today, many tourists – both foreigners and locals from Hong Kong on the weekend – come to this small village to watch the sunset, to see the Chinese White Dolphins, or to eat traditional salted fish and shrimp paste. What else can you see at the Tai O Fishing Village? 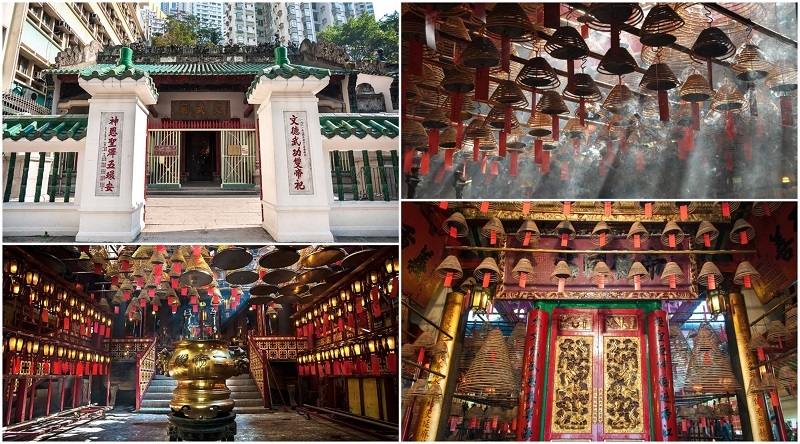 Yeung Hau Temple – Built all the way back in 1699, this temple is considered a Grade I historic building in Hong Kong. Tin Hau Temple – Connected to the Kwan Tai Temple, the Tin Hau Temple in Tai O was built way back in 1772. It is considered a Grade III historic building in Hong Kong. The Old Tai O Police Station – No longer operational, the Old Tai O Police Station sits on top of a hill overlooking the ocean, and had a mission to combat piracy. Now, not only is it a Grade II historic building, it is also the nine room boutique Tai O Heritage Hotel. Seen best from the Avenue of the Stars at Victoria Harbour, the Symphony of Lights is the world’s largest permanent light and sound performance. It is a nightly display that starts at 8pm every night including weekends and lasts for 14 minutes. It was first inaugurated in 2004 and it is organized by the Hong Kong Tourism Board. The show centers on the themes of Awakening, Energy, Heritage, Partnership, and Celebration. Currently, there are a total of 47 buildings that participate in the show. What are some fun facts about the Symphony of Lights? 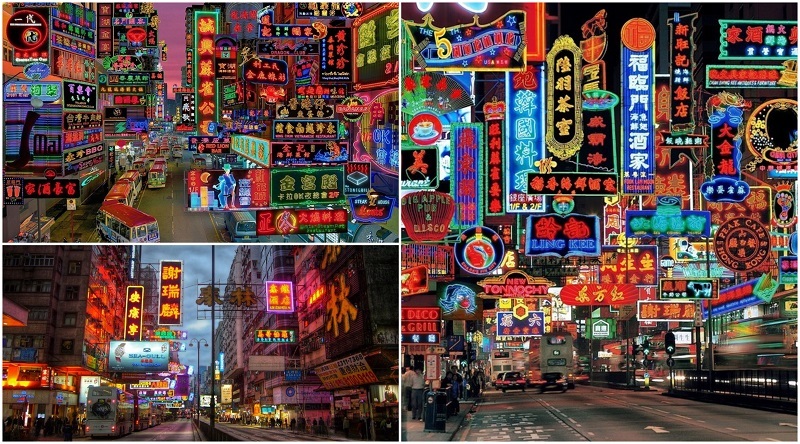 Themes – The themes of the show are meant to connect with the spirit, energy, and diversity of Hong Kong. Watching from the water – There are many companies that offer boat service at night so you can watch the Symphony of Lights show from the waters of Victoria Harbour. Be it for a romantic date or a fun family night together, it is definitely worth checking it out. Mobile App – There’s a mobile app where you can listen to the music used for the Symphony of Lights. Part of Jumbo Kingdom, the Jumbo Floating Restaurant was established in 1976 and it is well-known among both locals and tourists as a place of both incredible décor and delicious food. The Jumbo restaurant is a fine dining establishment that is perfect for every special celebration. From Queen Elizabeth II to Tom Cruise, numerous famous personalities have dined here while admiring beautiful scenic views of Hong Kong. What are some of the Jumbo Floating Restaurant’s dishes? Flamed Drunken Shrimp – Seafood lovers will adore this spicy shrimp dish, accompanied with the finest wine. Deep Fried Chicken filled with Lemon Sauce – If seafood is not your thing, then this gourmet chicken dish is sure to satisfy your taste buds. Fresh Mango Pudding – For a light and yet delicious dessert, you can’t go wrong with their fresh mango pudding. 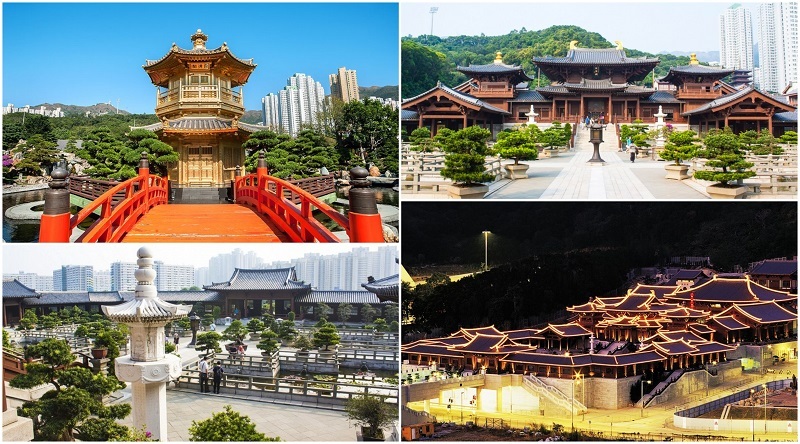 Located in Diamond Hill, the Chin Ling Nunnery is a Buddhist temple complex founded in 1934. It was built in the traditional Tang architectural style, using no nails and instead relying on the woods being cut in a specific way so they can be interlocked together. These are the only buildings constructed in this manner in all of Hong Kong. The Chin Lin Nunnery sits opposite of the Nan Lian Garden, and contains one library, sixteen halls, a bell tower, a drum tower, and a pagoda, covering an area of 33,000 square meters. It also houses statues of the Sakyamuni Buddha made of gold, clay, wood and stone. What should you know before visiting the Chin Lin Nunnery? Free Admission – Admission to the Chin Lin Nunnery is free of charge. Tea House and Vegetarian restaurant – There’s a tea house by the lake and a nice vegetarian restaurant in the premise. Though the tea house can be rather expensive, if you can afford it, it is definitely worth it. No Pictures – Cameras are not allowed inside the halls. Located in the urban area of Kowloon, Nathan Road is well known to both locals and tourists as a street filled with landmarks, shops, and restaurants. Running from north to south, it starts not too far from the famed Victoria Harbour and ends at its intersection with Boundary Street. Five of the Mass Transit Railway stations (or MTR) are located along Nathan Road, along with many different bus routes. Though often highly trafficked especially on weekends, this is a great place to look for shops, restaurants, or attractions. What are some of Nathan Road’s landmarks? St. Andrew’s Church – St. Andrew’s Church is the oldest Protestant English-speaking church in all of Kowloon. It was first founded in 1904 and consecrated in 1906. Its architecture is a beautiful Victorian Gothic style, built with bright red bricks and white granite. Its stained glass windows are simply gorgeous. iSQUARE – With 600,000 square feet of shopping area, 31 floors, and over 4,000 glass components, iSQUARE is a great shopping mall located at Nathan Road. There you can find stores like Bose, ELLE Travel Luggage & Bags, Pandora, and more. This is a stop worth the time of any shopaholic. Kowloon Masjid and Islamic Centre – Though the original building was constructed in 1896, the current structure was built in 1984. This is the second of Hong Kong’s five main mosques. Its beautiful minarets are a striking 11 meters high. It also has a medical clinic and a library. A major tourist point and place to relax on weekends, Victoria Harbour is a natural harbor that sits in a highly urbanized area. Its strategic location made it a crucial spot in Hong Kong’s history and the British colonization of the island, first appearing in a marine chart created for the East Indian Company. Surrounded by numerous islands, there are many companies that offer ferry rides and harbor tours that allow you to see Victoria Harbour and the Hong Kong skyline from the ocean. Victoria Harbour is also where you’ll find the Avenue of the Stars, where you can see the world’s famous Symphony of Light show, and where you can best see the beautiful fireworks display during the Chinese New Year. What can you see at Victoria Harbour? Clock Tower – Iconic and historic, the Clock Tower was once part of a huge train station located right at Victoria Harbour. Though efforts to save the entire station failed, the Clock Tower is now a Declared Monument of Hong Kong. 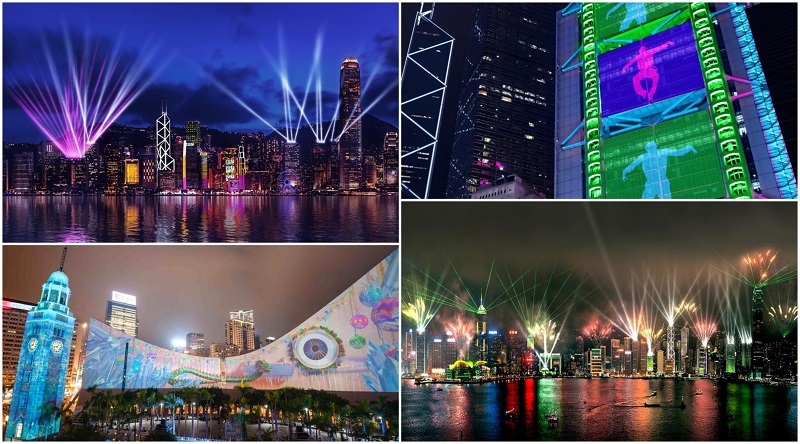 A Symphony of Lights – This is the largest permanent light and sound show in the world, happening on a nightly basis at Victoria Harbour. The show started in 2004, contains five major themes (Awakening, Energy, Heritage, Partnership and Celebration) and goes for 14 minutes, starting at 8PM every night. Avenue of the Stars – Created to honor the celebrities of Hong Kong’s movie industry, the Avenue of the Stars is modeled after the Hollywood Walk of Fame. It features a bronze statue of Bruce Lee and another statue of Anita Mui. Ngong Ping Village was built to look like an old traditional village despite only opening in 2005. Filled with souvenir shops, teahouses, and restaurants, this is a great place to not just buy gifts and eat delicious food, but also learn about legends through the Monkey’s Tale Theater and the Walking with Buddha Show. The buildings draw on traditional Chinese architecture and occupy a 15,000 square meter area that is situated just 10 minutes away from the famous 34 meter Tian Tan Buddha and the Po Lin Monastery. 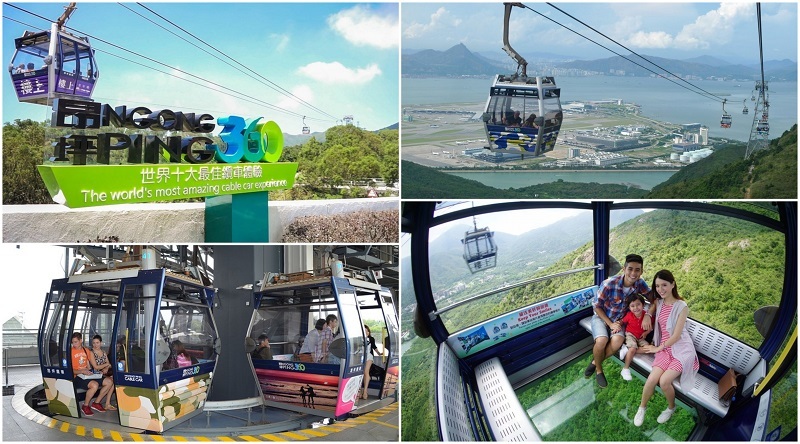 The best way to access the Ngong Ping Village is through the Ngong Ping 360 terminals, a gondola lift that takes you up the Ngong Ping highland in Lantau Island. What Should You Bring to Ngong Ping Village? Comfortable Shoes – Ngong Ping Village is located close to both the 70 kilometers Lantau Trail and Sunset Peak… There’s a lot of walking to be done. Camera – With at least four waterfalls, the Tian Tan Buddha, the Wisdom Path, the Ngong Ping Piazza, and the beautiful views from the cable cars, there’ll be plenty of great opportunities for those gorgeous shots. Money for Restaurants and Shops – From the familiar Subways and Starbucks to Noodle Cafes, Gelato, Bakeries and Dessert Houses, there are plenty of eating options while at Ngong Ping Village. The Hung Fook Pearl, China Art Window Ltd, Vintage, Peking Opera, and Add On are but some of the stores selling amazing gifts. Ngong Ping 360 is the gondola lift connecting downtown Tung Chung with Ngong Ping. The cable cars give you a beautiful 360 view of Lantau Island as you as go through your journey. 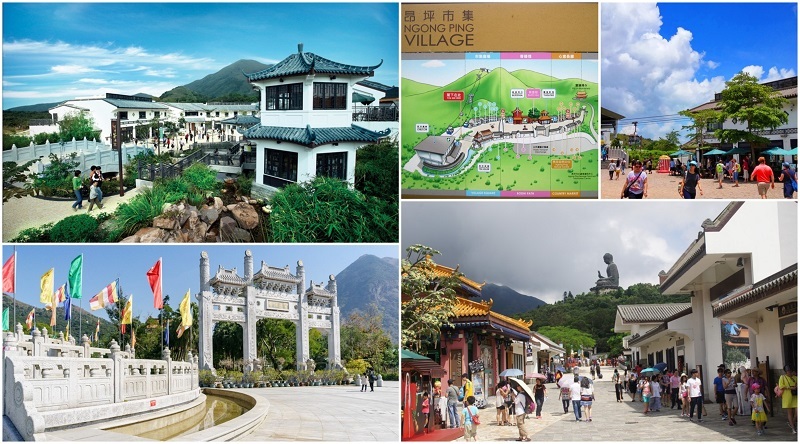 At the top Ngong Ping is where you can find Ngong Ping Village, the Tian Tan Buddha, the Po Lin Monastery, the Wisdom Path at Lantau Trail, and much more! On weekends it can get particularly crowded, so head there early. What Can You See at Ngong Ping 360? Yeung Hau Temple – See beautifully crafted wood and Shiwan porcelain sculptures while visiting this Qing Dynasty temple. Wisdom Path – Right at the foot of Lantau Peak, the Wisdom Path is composed of tall wooden columns arranged in the shape of the infinity symbol with beautifully inscribed calligraphy on each post. Silvermine Waterfalls – Divided into the upper falls and the lower falls, the Silvermine Waterfalls is renowned for its beauty. If you’re visiting Ngong Ping 360 during the summer, make sure to stop by for a visit. The Po Lin Monastery is a Buddhist monastery first established over a century ago, in 1906. Dedicated to Guanyin, the monastery has three bronze Buddha statues representing past, present, and future lives. It is also home of the Tian Tan Buddha, a giant Buddha statue that was built close by in 1993 and attracts countless of devotees and tourists every year. The Monastery is easily accessible through Ngong Ping Village and through Ngong Ping 360. 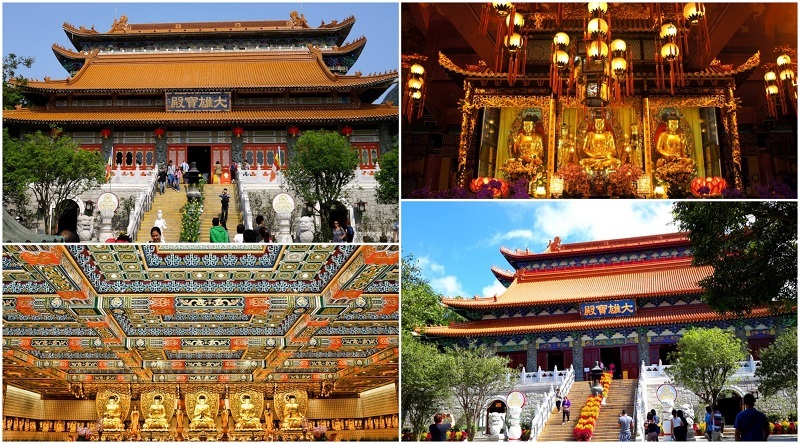 What are some fun facts about the Po Lin Monastery? Supporters of Education – The Po Lin Monastery has aided the construction of over 280 schools since 1906. High Altitude – The Po Lin Monastery sits at altitude of 400 meters on top of the Ngong Ping Plateau. Vegetarian Café and Souvenir – A vegetarian café and a souvenir shop is open for both devotees and tourists who are visiting the Po Lin Monastery. Tian Tan Buddha is a large bronze Buddha statue located in the Po Lin Monastery at the Ngong Ping Plateau. A very popular tourist attraction and locals on weekends, this giant 34 meter (roughly 112 feet) statue symbolizes the harmonious relationship between humans and nature. It took 12 years to build it, but they finally completed this artistic and religious wonder back in 1993. 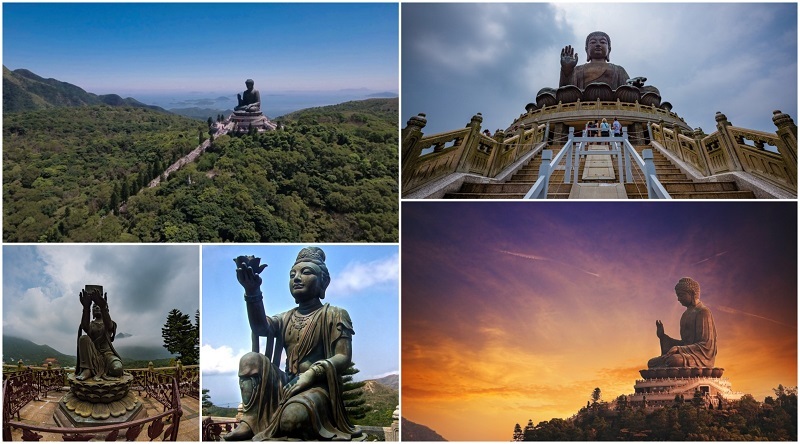 What Do You Need to Know Before Visiting Tian Tan Buddha? Gautama Buddha Relic – Beneath the statue there is a three-story exhibition, one of which contains a relic of Gautama Buddha. However, only visitors who buy an offering are allowed to see it. Wear Comfortable Shoes – You have to climb up 268 steps to get to the statue, and then climb all those steps back down. It’s best to wear comfortable shoes for this physical trek. Located in the New Territories of Hong Kong, this 70 kilometer long distance trail is a must for any outdoor lovers. The Lantau Trail follows a circular path divided into 12 different sections, all marked every 500 meters to help you keep track of where you are. There you can find the Wisdom Path, the Po Lin Monastery, and catch the beautiful sunrise from the top of Lantau Peak. 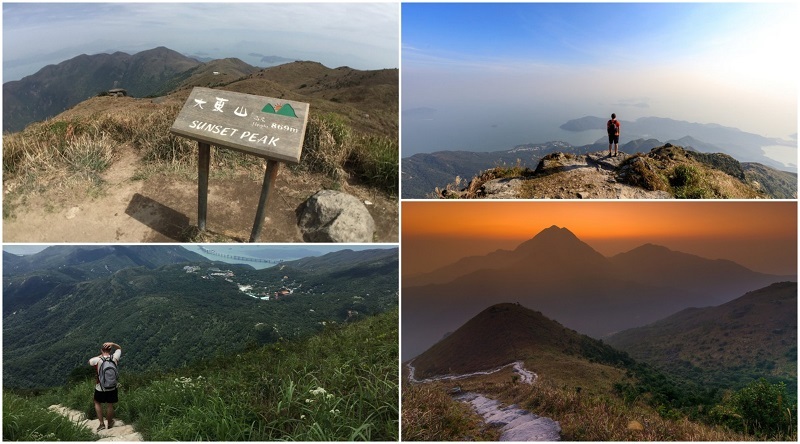 What Should You Bring While at the Lantau Trail? Water Bottle and Food – 70 kilometers is a very long distance, especially when you have to go up and down slopes. Staying hydrated is extremely important, and for those ascending sections with uneven steps, a fruit or granola bar can go a long way in keeping you energized. Money – The Lantau Trail passes close to Ngong Ping Village, the Po Lin Monastery, and the Tian Tan Buddha. Having some money to refill your water bottle or, perhaps, to eat something while you rest, or buy snacks for later on might be a good idea. Whistle – It is recommended to bring a whistle with you in case of emergencies. If you find yourself in need of help, blow six long blasts within a minute and then wait another minute before repeating the process until help arrives. 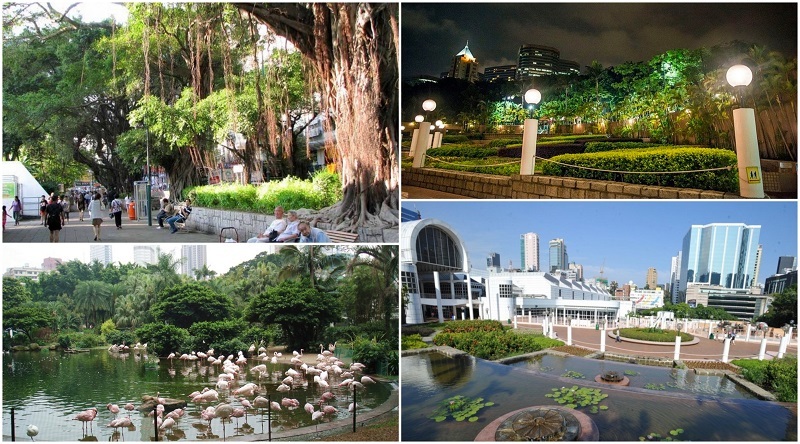 Once part of the British Army’s Whitfield Barracks, Kowloon Park now covers an area of 33 peaceful acres. Over 70 buildings were demolished to accommodate the stonewall trees, the bird lakes, Kowloon Park Swimming Pool, rose gardens, and more. Kowloon Park is also the home of the Hong Kong Museum of History and the Hong Kong Heritage Discovery Centre. You could easily spend the whole weekend here relaxing in various areas of the park, exercising or visiting the unique museums. What Can You See at Kowloon Park? Sunday Performance – Every Sunday from 2:30PM to 4:30PM there are Kung Fu and Dragon Dance performances at the Sculpture Walk. These are free, so if possible, try to make some time in your schedule to watch! Art Fun Fair Stalls – Shop for unique gifts and souvenirs on Sunday at the Loggia. Open from 1PM to 7PM, you can find all sorts of craft services here. Morning Bird Watching – A Bird watching group meets up every Friday morning from 7:30AM to 9:30AM at the Arcade. Joining is free and there’s no enrolment process. Just show up and tag along! Located in Diamond Hill, the Nan Lian Garden is a classical Chinese garden designed in the Tang Dynasty style. It covers 3.5 hectares with beautiful ponds and wooden structure. You can see all these enchanting features characteristic of the Tang-style while following the one way circular route that covers the entire garden. Admission is free, and the Nan Lian Garden is open every day from 7am-9pm. 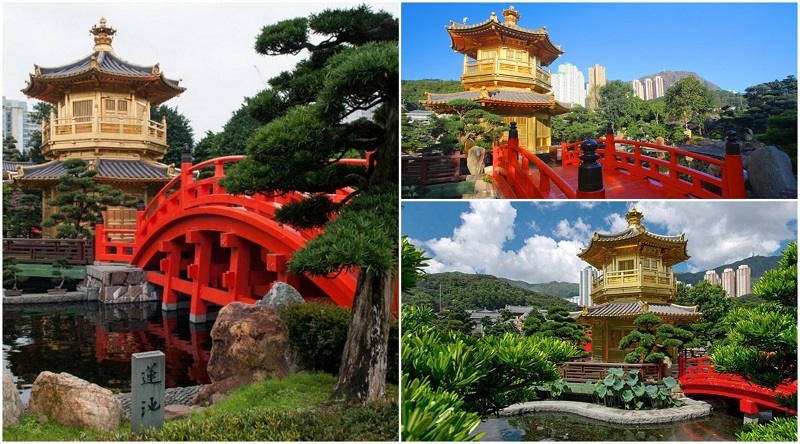 What Do You Need to Know Before Visiting the Nan Lian Garden? Smoking – Remember that smoking is prohibited inside the Nan Lian Garden. Food and Drinks – To preserve and maintain the garden, foods and drinks – with the exception of water – are prohibited in order to avoid litter, water contamination, or attraction of rodents. You can eat food bought within the garden in designated eating areas though. Stay away from grass areas– Remember to not walk, run, sit, or lie down on the grass. 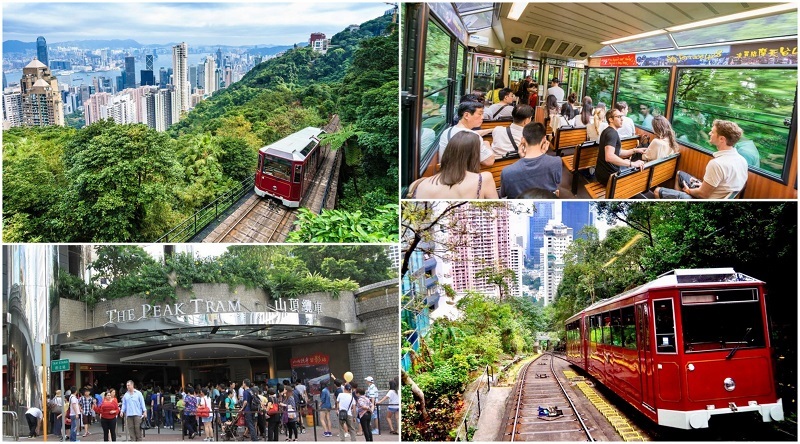 A funicular railway, the Peak Tram runs from Garden Road Admiralty all the way to Victoria Peak, with six different stops. The route covers 1.4 kilometers (0.87 miles) in a 400 meter (or just about 1,312 feet) climb and has been operating since May of 1888. Where Can You go From the Peak Tram? The Peak and The Peak Tower – The upper terminus station of the Peak Tram is right inside the Peak Tower at Victoria Gap, making for an easy and convenient visit. Garden Road and St. John’s Cathedral – Originally, the lower terminus station of the Peak Tram was part of the St. John’s Cathedral, the oldest Anglican Church in not just Hong Kong, but all of the Far East. The Peak Tram Historical Gallery – With more than 200 items and divided into 15 sections, this is the place to learn not just about the Peak Tram’s history, but also get a glimpse of how Hong Kong society operated long ago. Also known as Austin Mountain, Victoria Peak is the highest mountain in Hong Kong. Way back in the 19th century, wealthy Europeans would build their homes in the area so they could take full advantage of the beautiful views and the refreshing climate. Though it continues to serve as a high-end residential area, today it attracts millions of tourists each year due to the same views that once enticed those living there over a century ago. What Can You Do at Victoria Peak? Hong Kong Zoological and Botanical Gardens – One of the oldest zoological and botanic gardens in the world, the Hong Kong Zoological and Botanical Garden houses over 1,000 different species of plants and numerous different animals. They have beautiful gardens that everyone can enjoy. The Peak Galleria – Opened in 1993, the Peak Galleria is a large four floor shopping complex. 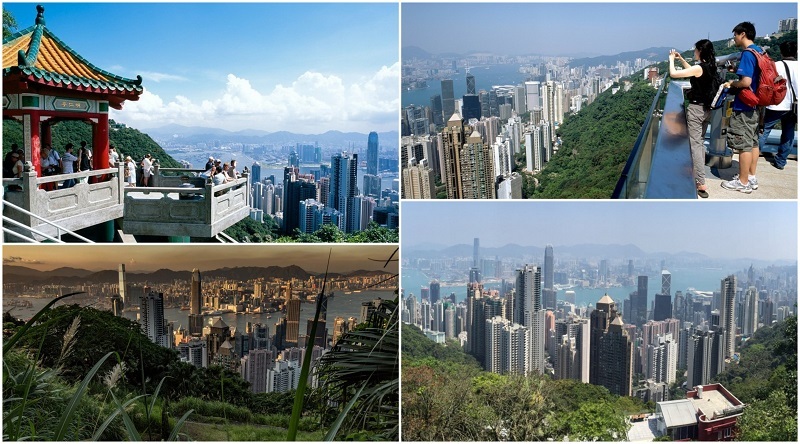 It also has a large observation platform that allows you to admire the views that attract so many of Hong Kong’s wealthiest residents to the area. Harlech Road – This is a road that stretches from the Victoria Gap all the way to the ridges of the High West. A great choice for those who love hiking, this road crosses two parks. This is also where you can also find the Harlech Road Waterfall. Located at Victoria Gap, the area surrounding the Peak was once reserved exclusively for the wealthiest residents due to its stunning views of Hong Kong. Today, though, the Peak Tower is a source of fun, entertainment and one of the favorite hangouts for locals on weekends. Be it shopping or exhibits, there’s a lot to see and enjoy. Not to say that The Peak Tower doesn’t take full advantage of its wonderful location; not only can you see those gorgeous picturesque scenes from its 360 platform, you can also have a delicious meal while taking in the beautiful harbor and Hong Kong Skyline. What Can You Do at the Peak Tower? Shopping – The Peak Tower boasts a great number of shops that sell anything from clothes and accessories to jewelry and beautiful souvenirs. Entertainment – The Peak Tower offers great entertainment options for people of all ages. You can take in the view from Terrance 428, or marvel at Madame Tussauds’ famous wax figure. At the Madness 3D Adventure you can take great fun pictures with some of Hong Kong’s most iconic imageries. Dining – From casual options to a meal with spectacular views, the Peak Tower has some great dining options that are bound to satisfy everyone. Fast food, brick oven pizza, traditional Asian cuisine… It’ll be hard to choose just one! Located at the Peak Tower in Victoria Gap, the Madame Tussauds Hong Kong was the first of the franchise’s to open in Asia. It houses numerous wax figures, from famous Hong Kong personalities such as Jackie Chan and Bruce Lee to Queen Elizabeth and Princess Diana. It also has replicas of renowned athletes like David Beckham and even music legends like Freddie Mercury and Elvis Presley. Be ready to see and photograph some of your favorite idols! What do you need to know before visiting Madame Tussauds? No Food or Beverages – No food or beverages are allowed inside the Madame Tussauds Hong Kong exhibit. The museum is inside the Peak Tower, though, which has some great restaurants you can dine at before or after your visit. Jacki Chan Figure – The Madame Tussauds Hong Kong’s has a special photographer for guests to take pictures with the Jackie Chan figure. Purchasing the pictures is optional. With the exception of this one, you are free to use your camera with all the other was figures. Tickets – There’s a wide variety of ticket packages available. Remember to check to make sure you’re getting the best deal possible if you’re planning to visit other attractions as well. Enjoy the beautiful Hong Kong sun while feeling the ocean wave sweeping through your hair, or marvel at the amazing Symphony of Lights whiles eating a delicious gourmet meal. If any of these sound like heaven, then Aqua Luna is the experience for you. 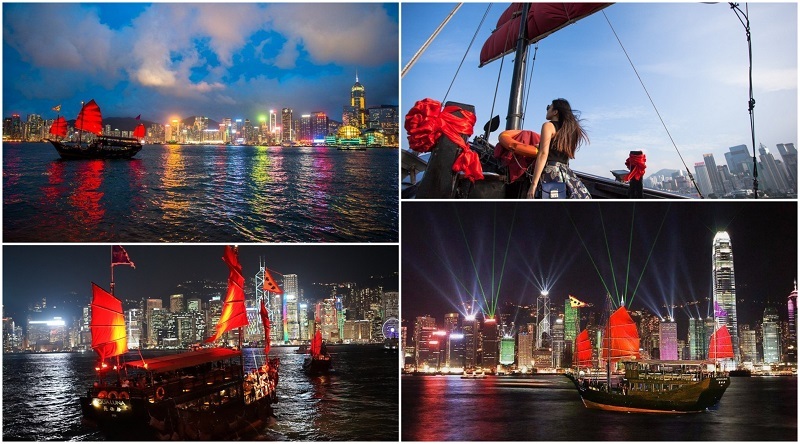 Regardless of which package you choose, you’ll have the unique opportunity to board a red sail Chinese junk boat and admire the incredible Hong Kong skyline. What are the Aqua Luna packages? Harbour Cruise – This package takes you on a 45 minute cruise late in the afternoon when you can see the skyline of Hong Kong lit up. Perfect for a romantic night or a fun afternoon with the family, all you have to do is sit back with your drink and relax. 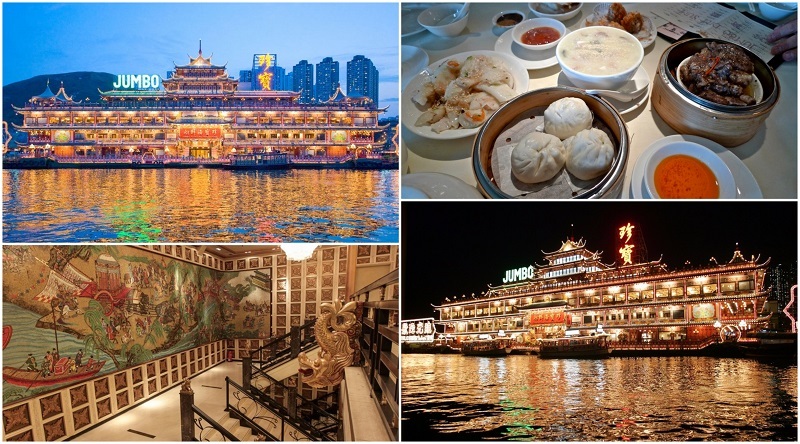 Symphony of Lights Dinner & Cruise – As the name implies, this package comes not just with a night cruise aboard a Chinese junk ship, but also with a 10 course gourmet Chinese meal as you watch the amazing Symphony of Lights. Harbour Discover Tour – Held in the afternoons, this hop-on hop-off tour is a great way to discover some of Hong Kong’s most iconic sites in a unique fashion. 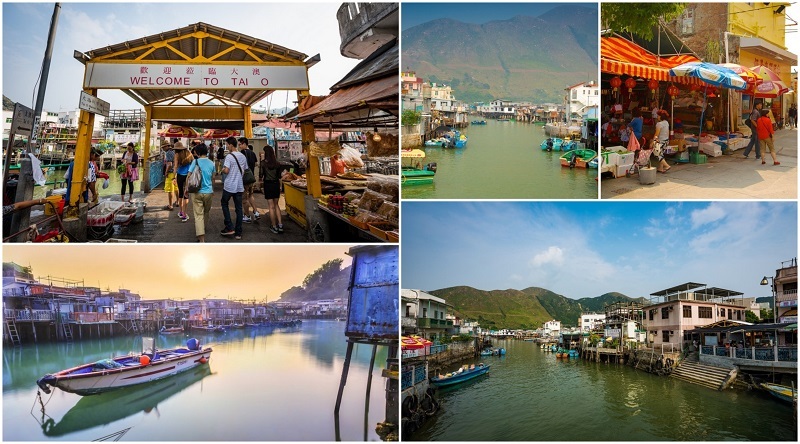 Other Packages – Other options include the Stanley, the Dim Sum Cruise, the Lamma Island, the Cheung Chau Island, all held during the daytime. At night you can also choose between the Late Cruise and the Symphony of Light Cruise. Lan Kwai Fong was once the place you’d go if you were looking for a marriage arranger. Now, though, this small square is known for its cobblestone pavements, street performers, bars, clubs, retailers, and festivals. 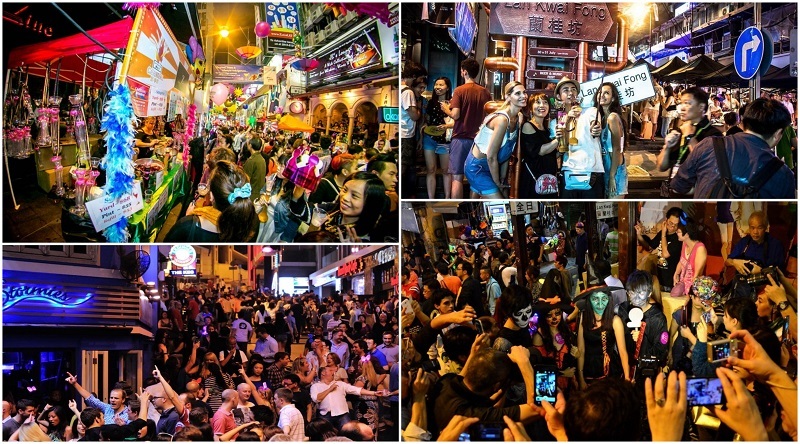 Every year huge crowds flock to Lan Kwai Fong’s Halloween and Near Year’s Eve celebration. With a wide variety of retailers and leisurely activities, there is something here for everyone. What do you need to know before visiting Lan Kwai Fong? Crowds – Lan Kwai Fong can get extremely crowded, so it is best to visit it when you have nothing else scheduled for later. Special events – With tons of bars, restaurants, stores, and more, there’s always some sort of special event going on at Lan Kwai Fong. Make sure to check their website so you don’t miss on anything special! 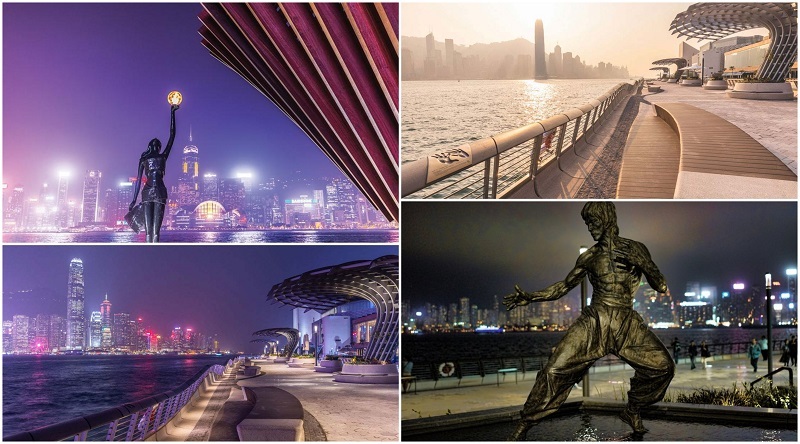 Honoring the celebrities of the Hong Kong movie industry, the Avenue of Stars runs along the Victoria Harbour. At night, this is a popular spot to view the Symphony of Lights display, as you’ll see beautiful panoramic views of the Victorian Harbour. One the weekend, its a relaxing walk for locals after some fresh air and scenery. Modeled after the Hollywood Walk of Fame, the Avenue of Stars has the handprints and plaques of numerous celebrities. What Else Can You See at the Avenue of Stars? Bruce Lee Statue – The Avenue of Stars has a 2.5 meter bronze statue dedicated to the famed martial artist Bruce Lee. Anita Mui Statue – Singer and actress Anita Mui also received a statue in her honor at the Avenue of Stars. Hong Kong Film Award – This 4.5 meter tall statue of the Hong Kong Film Awards stands out as it overlooks the beautiful harbor. The Man Mo Temple is a temple dedicated to the civil and literature god known as Man Tai (or Man Cheong) and the martial god known as Mo Tai (or Kwan Tai), the patrons of students and scholars. Though there are many Man Mo Temples in Hong Kong, this one, located at Hollywood Road, is not only the most popular, but also the largest one. What are some fun facts about the Man Mo Temple on Hollywood Road? No Clear Building Records – There are no clear records showing when this temple was first constructed. The closest dating that we have is the inscription on a brass bell, which dates back to 1847. Tung Wah Group of Hospitals – Today, the Man Mon Temple is under the care of Tung Wah Group of Hospitals, Hong Kong’s largest and oldest charitable organization. A Declared Monument – The Man Mo Temple is considered a Grade I historic building since 1993, and it is now one of Hong Kong’s declared monuments. Opened since 2005, Hong Kong Disneyland is Hong Kong’s largest amusement park. With seven different zones (Grizzly Gulch, Fantasyland, Tomorrowland, Toy Story Land, Adventureland, Mystic Point and Main Street, U.S.A.), Disney spared no expenses when building this amazing park. They made sure to incorporate elements of Chinese culture and even followed the rules of feng shui. 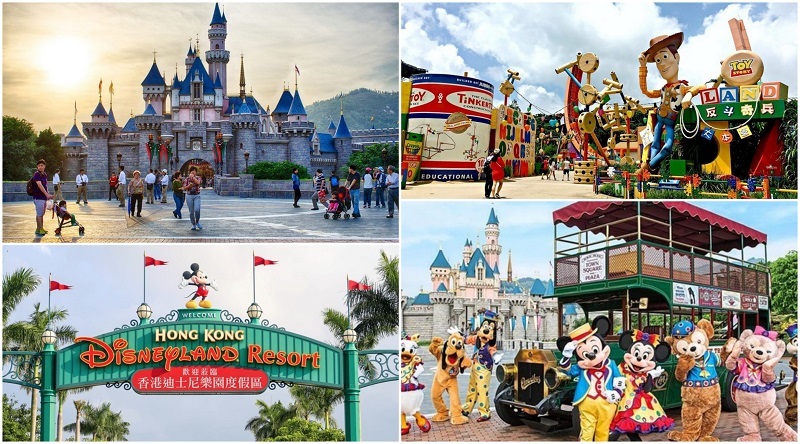 What are Hong Kong Disneyland’s Best Attractions? Jungle River Cruise – Located in Adventureland, this ride takes you through a guided tour aboard a boat down the calm river. It is open for people of all heights and ages. Mystic Manor – Located at Mystic Point, the Mystic Manor is an exclusive Hong Kong attraction, not available in any of Disney’s other parks. Open to people of all heights and ages, the mansion tells the story of the adventurer Lord Henry Mystic through his mystical collection of arts and antiques. Art of Animation – See the secrets behind your favorite Disney animated movies. Sit back and relax at the lounge while drinking some nice self-served refreshments. Located at Main Street, U.S.A., you’ll also find the Magic Access Member Service Center. 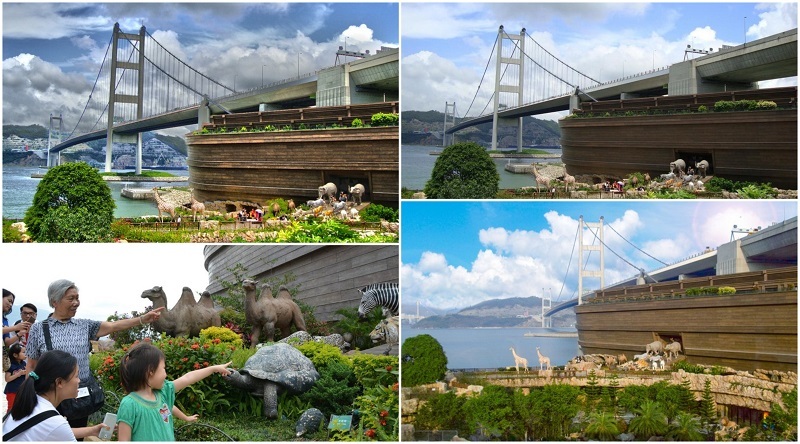 This life-size replica of Noah’s Ark is located at the Man Wan Island. Its main focus is teaching about the Judeo-Christian myth of Noah, as well as other Biblical stories, that, given the minority status of Judeo-Christian religions in China and Hong Kong, many locals might not know. The attraction also has a small nature park, while the ark itself has multiple levels, some which are available for an overnight stay. What are some of the Noah’s Arks main attractions? 180 degree screen cinema – Located inside the Ark, this cinema gives visitors an introduction to the Moses story, the Ark of the Covenant, and other Judeo-Christian stories. Obstacle course – In the gardens you can find an obstacle course created especially to keep the children well entertained. 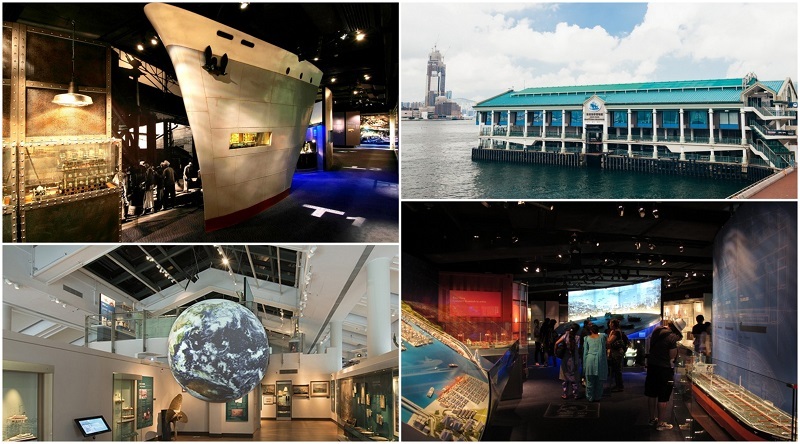 The Hong Kong Maritime Museum focuses on teaching about Hong Kong, China, and Asia’s maritime history. It is managed by the Hong Kong Maritime Museum Limited, The Hong Kong Maritime Museum Trust, and the Hong Kong Museum Endowment. All three of these are charitable organizations. Its thirteen galleries are spread along three floors, displaying over 1,000 objects while overlooking the Victoria Harbour. The Hong Kong Maritime Museum also has a rooftop café that has a wonderful menu. What galleries can you see at Hong Kong Maritime Museum? Creating Victoria Harbour – This gallery focuses on detailing the history of Victoria Harbour beginning in 1841. With objects embodying the history of trade, contrasting the Chinese Junk Ships with the Western Ships, and the Japanese occupation during World War II, there’s much to see and learn about Hong Kong’s Maritime history in this gallery. China Trade – With beautiful paintings and artefacts, this gallery focuses on the Canton Trade, which began in 1757. Teacups, daggers, plates, and miniature ships, all contributed to the history of China’s trade with the West. Sea Bandits – If you love pirates, then this gallery is a must for you. Through displays of guns and paintings, this gallery reminds you that Hong Kong was plagued by dangerous sea bandits not too long ago. The Trick Eye Museum Hong Kong celebrates optical illusion in the most entertaining way possible. 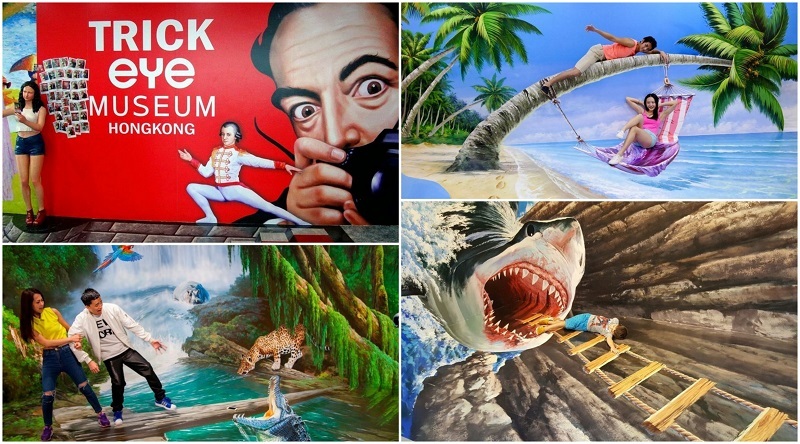 Making use of Trompe-l’oeil technique, the Trick Eye Museum creates a fun environment for learning and appreciating art. With five themed zones, there’s plenty for you to explore. Get your cameras ready, as this interactive experience is one you’ll never forget. What are the best themed zones at Trick Eye Museum Hong Kong? World of Masterpieces– Step into the world of art and interact with some of the most iconic paintings known to man. This whimsical section of the Trick Eye Museum will provide for tons of fun photo opportunities. Secret Garden – Trees, waterfalls, flowers… And giant leaves you can use as boats. At the Secret Garden, you can have fun by posing with giant flowers, perfect rainbows, and even grow some nice angel wings. Great Adventure – If you want to take some adrenaline filled pictures without having to actually go through all the hassle, than Great Adventure is the section for you. Jump out of a plane, hang from a cliff, or race on motorcycles; all while with your feet safely planted on the ground. 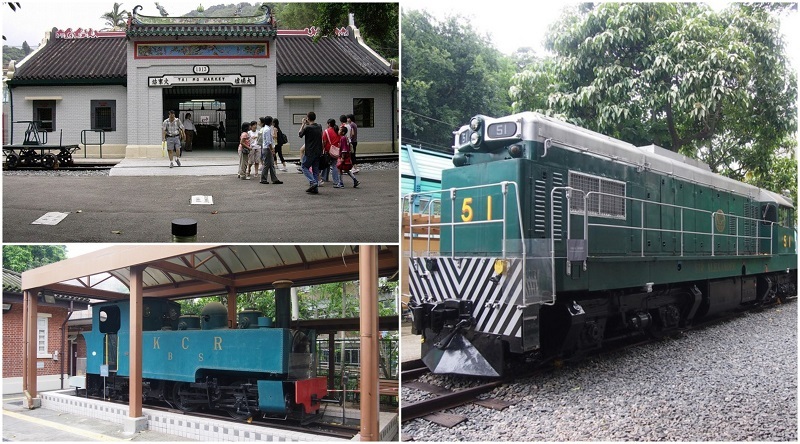 The Hong Kong Railway Museum is located in the area of Tai Po. It opened December 1986 where the Old Tai Po Market Railway Station used to be. Its architecture resembles southern Chinese temples. In the museum you can find six historical coaches and even a steam locomotive on exhibition. Admission is free, though the museum is usually closed on Tuesdays. What are some of the rules and regulations of the Hong Kong Railway Museum? No Food or Drinks – Eating, drinking, and smoking is prohibited while in the museum. No Animals Allowed – Please remember that, with the exception of guide dogs, animals are not allowed inside the Hong Kong Railway Museum. No Video Recording – Video recording is not allowed inside the museum. The Hong Kong Wetland Park has 10,000 square-meters of area dedicated to the conservation, education, and tourism of wetland areas. In 2007, it won the Award of Excellence on the Asian Pacific Competition from Urban Land Institute. It contains numerous exhibitions showcasing the importance of biodiversity and conservation. The Hong Kong Wetland Park is also home to Pui Pui, a female saltwater crocodile who is almost like a local celebrity. Spend the weekend here and take in the natural surroundings, away from the bustling city noise of Hong Kong. 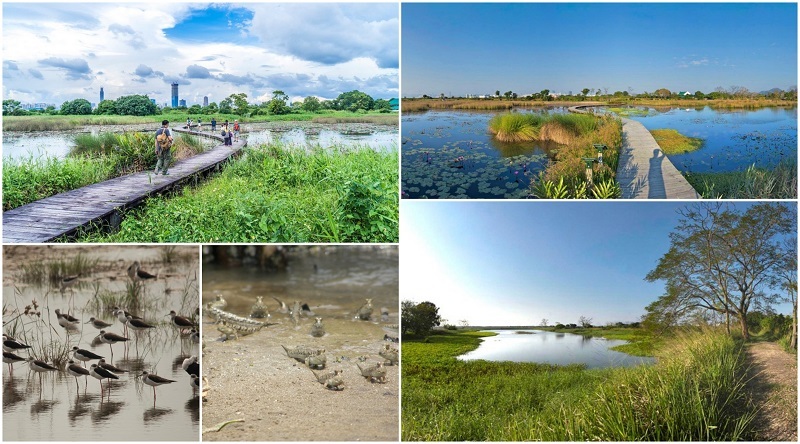 What are some of the Hong Kong Wetland Park’s facilities? The Wetland Discovery Centre – This facility embodies the idea of an outdoor classroom. Visitors can learn and explore the fauna and flora of the Wetland Reserve through a variety of guided activities. Theatre Film Show – This facility has four different short movies that emphasize the importance of environmental conversation. Butterfly Garden – Located on the Wildside Walk, the Butterfly Garden gives visitors the opportunity to interact numerous butterflies who are attracted to the area by the 60 different plant species. The Sik Sik Yuen Wong Tai Sin Temple is a well-known Taoist shrine, popular with both locals and tourists. Famous for its “What you request is what you get” prayer, this temple features some beautiful traditional Chinese architecture with stunning red pillars and gorgeous carvings. 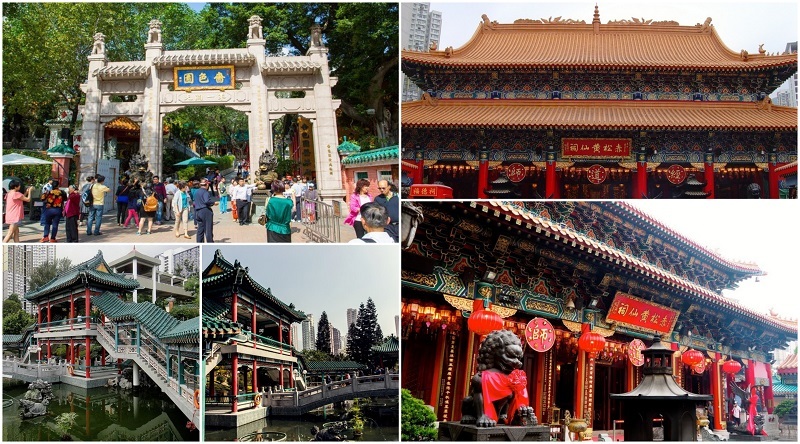 The Sik Sik Yuen (or The Yuen) is a religious charitable organization with its roots in Taoism, Confucianism, and Buddhism that was established back in 1921 and now cares for the Wong Tai Sin Temple. Once a private shrine, the Sik Sik Yuen were granted permission to open the Wong Tai Sin Temple to the public in 1956, and it has remained that way ever since. What are some important rules and regulations to remember when visiting the Sik Sik Yuen Wong Tai Sin Temple? Keep your voice down – Please remember that despite the fact that the temple is open to tourists, it is still a place of worship. Be respectful, keep your voices down, and try not to use your cellphones. Do not tip the staff – The temple’s website makes it very clear that they do not wish for those who work at the temple to be tipped. If you’d like to help in some way, the temple does have donation boxes where you can leave some money that will be used for the maintenance of the temple and for the Sik Sik Yuen’s charitable services. Do not feed the animals – The temple does have some fishes and turtles living in their ponds. Please, do not feed them. The construction for the Hong Kong Space Museum first began in 1977, and it is now made up of two main exhibition halls: the Hall of Cosmos and the Hall of Space Exploration. Known for its unique egg shaped dome, the museum has not only the first local planetarium, but also the first planetarium in the world to have a fully automatic control system. It holds numerous yearly activities such as the Astronomy Carnival, Astronomy Happy Hour, film sessions, lectures and much more. What are some of the exhibits at the Hong Kong Space Museum? The Hall of Cosmos – This part of the museum focuses on everything regarding the Universe; stars, galaxies, planets, comets… You name it! With exhibits such as the Aurora, Icy Bodies, Gravity Surfing, and the Big Bang Theatre, visitors can experience the wonders of space in numerous different ways. The Hall of Space Exploration – This part of the museum focuses on showcasing the history and development of space technology and exploration. Exhibitions like Weightless in Space and Disorientation in Space allows visitors to feel like astronauts by experiencing the power of space themselves. Located right next to the Shing Mun River, the Hong Kong Heritage Museum is managed by the Leisure and Cultural Services Department and opened back in 2000. 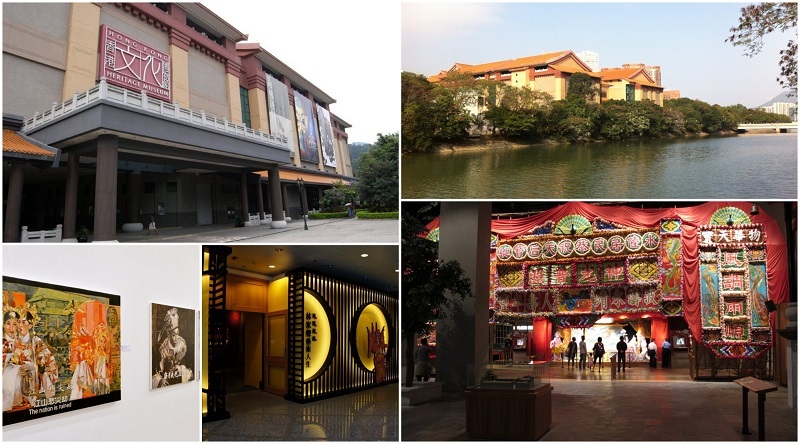 With a focus on history, art, and culture, the Hong Kong Heritage Museum’s five main permanent exhibits are Children’s Discovery Gallery, Cantonese Opera House, T. T. Tsui Gallery of Chinese Art, Chao Sao-an Gallery, and the Jin Yong Gallery Gallery. Many of these are interactive, inviting its visitors to learn through participation. The museum also has a 350-seat theatre that holds the occasional Cantonese opera performance, as well as café, and a museum shop. 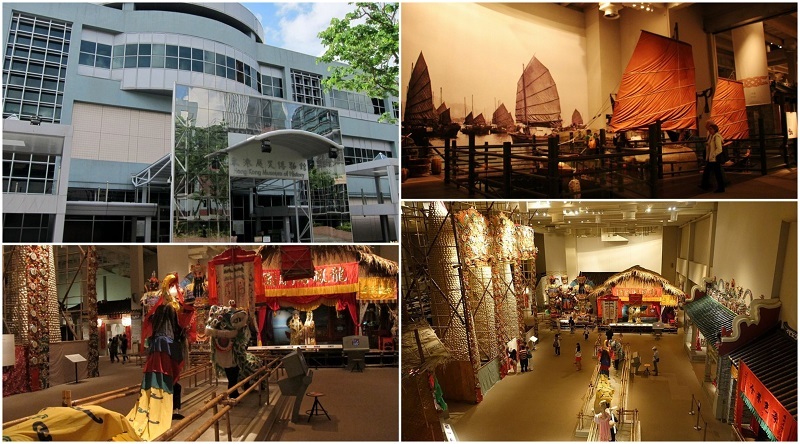 What are some important things you should know before visiting the Hong Kong Heritage Museum? Free Admission – The five permanent exhibits are free of charge. You do have to pay for the special exhibits, though. Keep voices down – Please, be respectful of other visitors and keep voices down. Try to avoid using cellphones while in the exhibit halls. Flash Photography – Please avoid using flash photography while in the exhibit halls. Each exhibit has its own photography and recording rules, so pay attention to that. In 1995, Mai Po was recognized as a “Wetland of International Importance” by the Ramsar Convention. Today, the Mai Po Nature Reserve – managed by the world famous WWF – seeks to maintain this incredible habitat while promoting wild life and ecological conservation. It also offers both training and guided tours to help raise awareness of environmental education. Visitors are more than welcome to come and experience this wonder of nature in person. 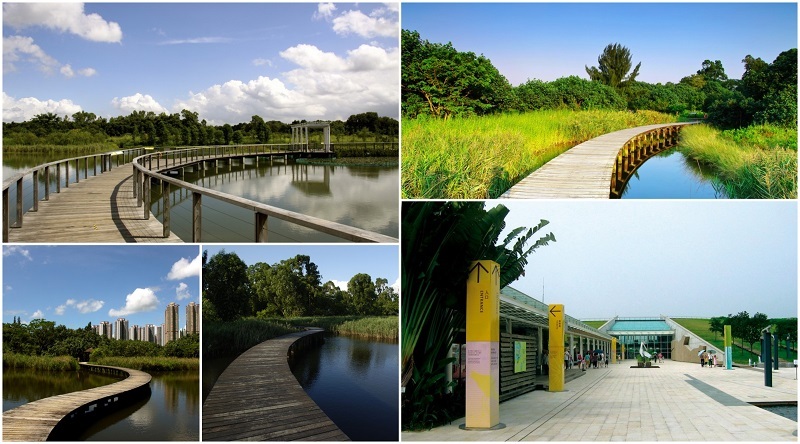 If you love nature and need some fresh air, then there’s no better place than Mai Po Nature Reserve. What kinds of animals live at Mai Po Nature Reserve? Birds – Home to over 400 different species of birds, it’s no wonder this place is known as Hong Kong’s Bird Paradise. This is the ideal place in Hong Kong to do some great birdwatching! Eurasian Otter – This adorable semi-aquatic animal is one of the 20 unique mammal species at the Mai Po Nature Reserve. They are, sadly, near extinction, so the WWF team at the Mai Po Nature Reserve takes extra care for them. Butterflies and Dragonflies – With over 100 different species of butterflies, 150 different species of moths, and 50 different species of dragonflies, you’ll have plenty of chances to see these beautiful bugs flying in their natural habitat. 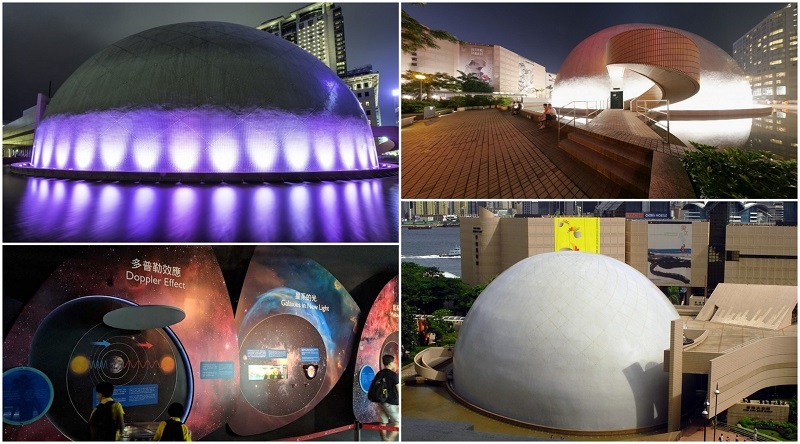 Located right next to the Hong Kong Museum of History, the Hong Kong Science Museum officially opened back in 1991. It is within walking distance of the Hung Hom Station. The Hong Kong Science Museum seeks to promote interest in all sorts of science – from technology to astronomy – and inspire a love for learning. 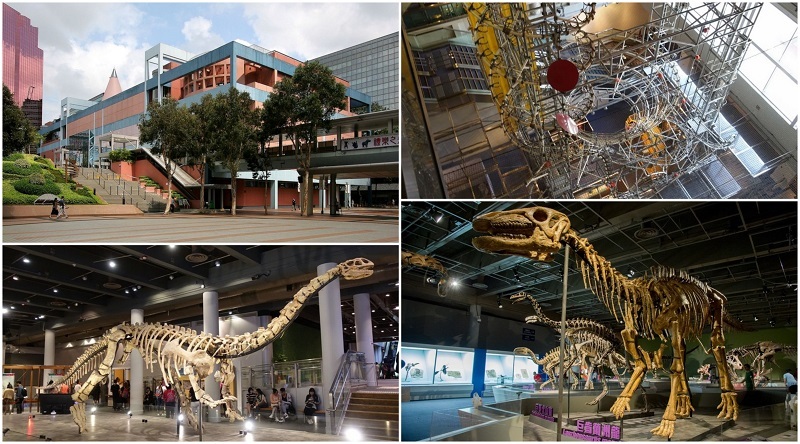 With numerous permanent exhibits, daily science demonstrations, interactive displays, and special exhibitions, the Hong Kong Science Museum is a great attraction for children and adults alike. What sorts of exhibits can you see at the Hong Kong Science Museum? The Energy Machine – 22 meters tall, the Hong Kong Science Museum’s Energy Machine is not just the tallest exhibit in the building, but it is also the largest machine of its kind in the world. Divided into three sections, the Energy Machine converts energy through the movement of two balls within the towers. World of Mirrors – This exhibit is all about seeing yourself in a new way. Literally. The World of Mirrors is filled with numerous mirrors angled just right to create all sorts of fascinating reflections. Biodiversity gallery – Aimed at raising awareness towards Biodiversity conservation, the Biodiversity gallery teaches about the complexity of different ecosystems while also helping visitors understand what they can do to help preserve them. Established in 1975, the Hong Kong Museum of History has a floor area of 17,500 square meters. It has exhibitions dedicated to Hong Kong folk culture, the Opium Wars, the beginnings of the city, and even the Japanese occupation during World War II. There’s also opportunity to watch fascinating lectures on different periods of history. This is a must visit for any history lover, or anyone who wishes to know more about Hong Kong’s fascinating past. What can you see at the Hong Kong Museum of History? Birth and Early Growth of the City – With scenes of tall European structures, steamboats, tea shops and tailor shops, this exhibit demonstrates the life, culture and history of Hong Kong during its long existence. 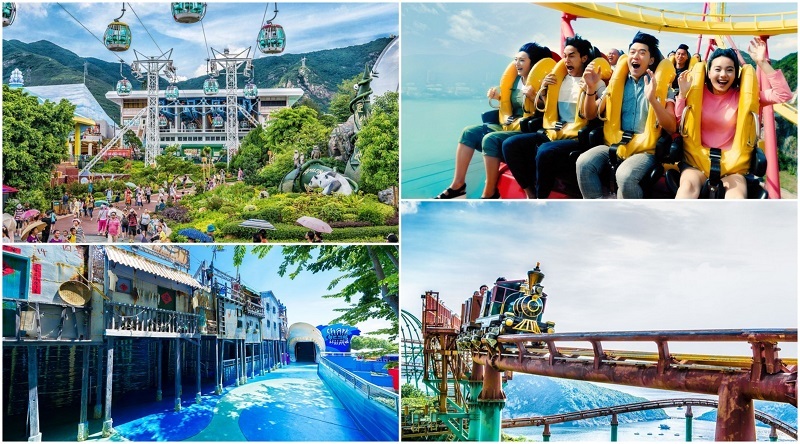 Ocean Park is not just a marine mammal park, but it is also the second largest theme park in all of Hong Kong. Open since 1977, Ocean Park covers 226 acres with rides and attractions. The park itself is divided into two different sections: The Summit and The Waterfront. For a real treat, try to visit Ocean Park during Halloween, as it holds one of the most extravagant celebrations of the holiday in all of Asia. What are Hong Kong Disneyland’s Best Rides? Hair Raiser – Thrill junkies will love this roller coaster located on the Summit part of the park. Your heart will be beating with all its might as the ride takes you at high speeds with views of the South China Sea. Raging River – For those looking for something to ease the heat off, the Raging River will surely do the trick. Dropping at speeds of 58 kms/hr will make a splash that you won’t soon forget. Ocean Express – Though not technically a ride, the Ocean Express is a fun and creative way to go from one part of the park to the other. The 4-minute transport simulates an underwater adventure that makes the most tedious part about going to an amusement park – the walk from one ride to the other – all the more entertaining. 60 meters in height (or 197 feet) and overlooking the beautiful Victoria Harbour, the Hong Kong Observation Wheel is a Ferris wheel that attracts over 2,000 visitors on a daily basis. Each of its gondolas seats about ten people, and the entire ride takes an estimated 10 to 20 minutes. What do you need to know about the Hong Kong Observation Wheel? Tickets – Same day tickets and advanced tickets are both available for purchase. Private gondolas are also available for a higher cost. 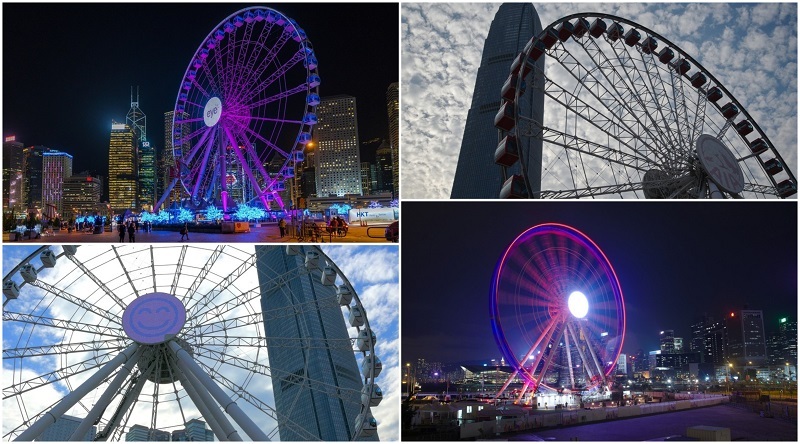 Opening Hours – The Hong Kong Observation Wheel is open from 11am11pm, with the last ride beginning at 10:30pm. Queuing – The queuing area opens 15 minutes prior to stated time. Make sure to get there on time. 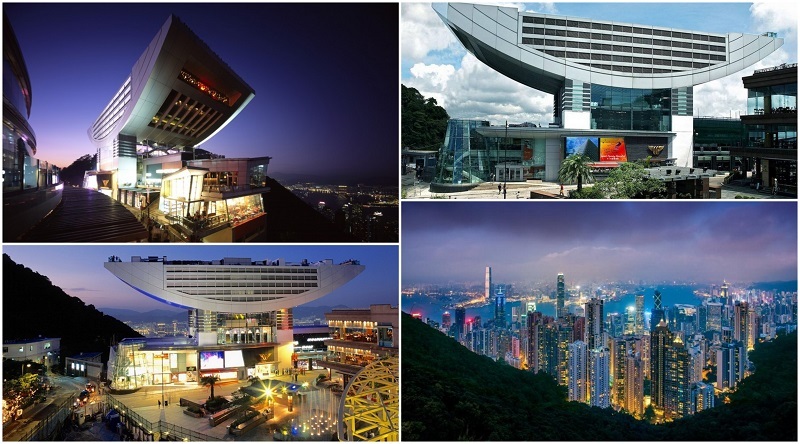 See the beauty of Hong Kong from above while at the Sky 100 Hong Kong Observation Deck. As the name implies, this 360-degree observation deck sits on the 100th floor of the International Commerce Centre. Once you enter the elevator, it only takes you a minute to get to the observation deck. 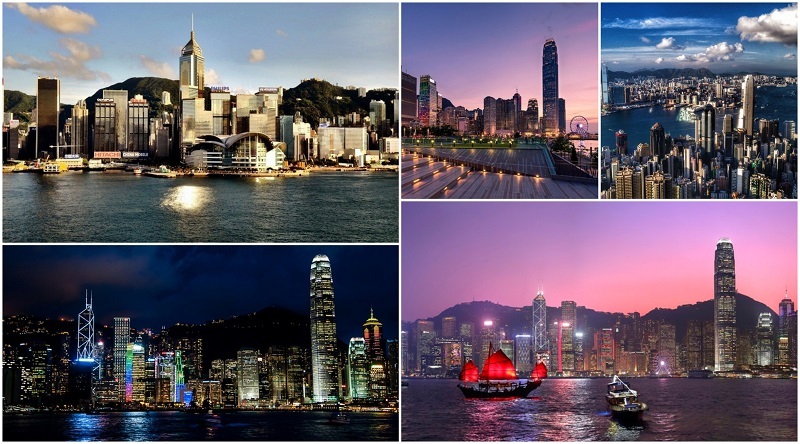 The views of Victoria Harbour – be it during the day, evening, or night – are always breath taking. Take a picture with your friends and family, admire the city, and enjoy a nice meal. This is one experience you can’t miss. 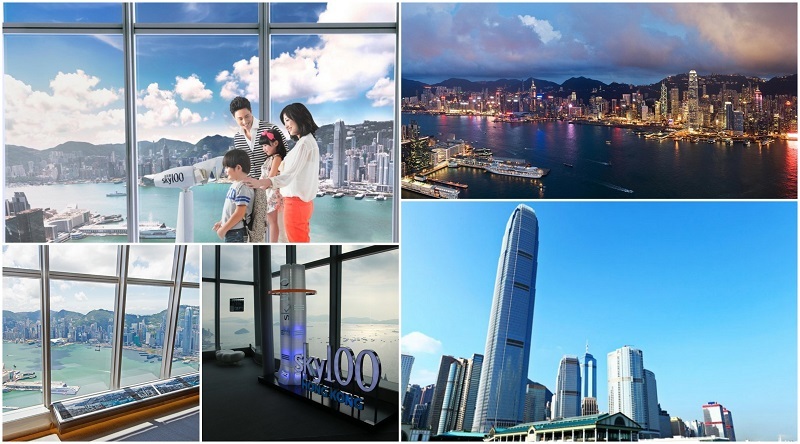 What can you do at the Sky 100 Hong Kong Observation Deck? Café 100 by The Ritz-Carlton – Located right above the observation deck, this Parisian-style café gives you a selection of sandwiches, savory or sweet crepes, waffles, and more. Photo Booth – The Sky 100 Hong Kong Observation Deck has a photo booth where you and your friends can pose together with some fun backgrounds. Sky 100 VR Experience – There are two VR experiences available for guests who want a little more out of their visit to the Sky 100 Hong Kong Observation Deck.